Our website designs are carefully crafted around your business and focus squarely on you and your users. We design each site with your brand and business objectives in mind, partnering with you to arrive at the right presentation of information for your new site. 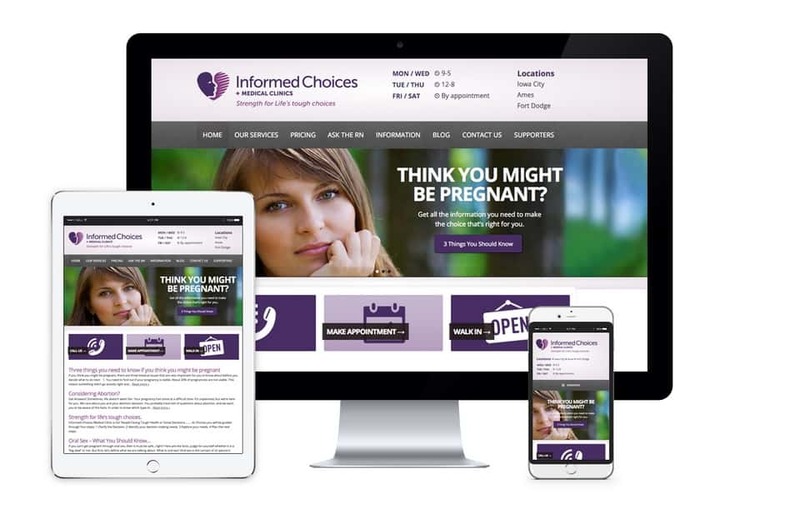 Created for today’s web standards, our mobile-responsive website designs adapt easily for viewing on desktop computers as well as mobile devices. We can develop a brand new website for you or upgrade an existing website to meet your needs. We are agency partners with Shopify and Bigcommerce. Our e-commerce projects are designed to make online purchasing easy for your customers. We want to help drive traffic to your website, increase leads, and convert site visitors into buyers. Whether you are a new business or branching out from an existing venture, we will work with your budget to find an efficient e-commerce solution. We offer competitively priced website hosting and support packages to complement our website design and development services. Our hosting is secure, reliable, comes with ample storage, and includes regular redundant backups of your website. We handle all of the technical details that need to be minded for your site to stay shipshape including managing your domain name and applying software updates. We keep a close eye on any security updates for your website software and apply them quickly to avoid any potential security issues. A major emphasis at Big Imprint is our customer support. We are committed to offering friendly, patient tech support for all of our users. You can reach our team for tech support by email or phone. We’re here to help! Search Engine Optimization (SEO) ensures that your website ranks in Google when your target audience looks for your product or service. We will work with you to build an SEO plan that concentrates on relevant keywords, copywriting and link building, and is focused on driving local traffic to your website from Google. 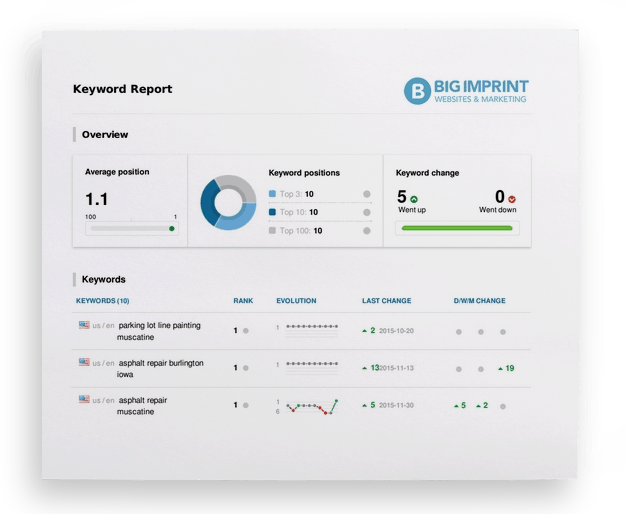 Our SEO plans include monthly reports and updates on your SEO performance so you can easily track the success of your campaign. Our goal for your website is to achieve page one rankings in Google for your most valuable keywords. SEO has a proven track record of generating a strong return on your investment.